1 in 3 people born in the UK are prone to develop dementia in the life time. There are currently 850,000 people in the UK with dementia, which is about 77 % of the whole UK population. Obviously it is making such a big impact on the population but what is dementia? Dementia is an overall term that describes a group of symptoms relating to a decline in memory or other thinking skills that can interrupt with one’s ability to perform. It is caused by brain cells damage which leads to inability of brain cells to communicate with each other which affects thinking, behaviour and feelings. Different types of dementia are associated with particular parts of the brain cell in particular regions of the brain, which is explored below. Occurs when a prion protein – a protein found throughout the body with an unknown function- abnormally fold into a three-dimensional shape. This single shape change triggers a prion protein in the brain to fold similarly into the abnormal shape- known as a ‘domino effect’. CJD type dementia evolves and gets worse faster compared to the causes of dementia, such as Alzheimer’s and dementia with Lewy bodies. This misfolded protein also destroys brain cells provoking a decline in thinking and reasoning as well as muscle movements. Symptoms include depression, agitation, apathy, mood swings, confusion, and difficult walking. Dementia with Lewy bodies is the third most common cause of dementia. It is caused by an Alphasynuclein protein which is widely found in the brain (normal function unknown). It is also found in other brain disorders, including Alzheimer’s disease and Parkinson’s disease dementia. No specific causes mare identified and there is no genetic link to the disease. Symptoms include changes in thinking and reasoning, confusion and alertness hunched posture and balance problem , visual hallucinations and delusions. Down syndrome takes place when a person is born with a chromosome mutation involving with a full extra copy of genetic material from chromosome 21 so they have three copies rather than the usual two. This causes developmental problems and health issues. The additional copy is what causes an increased risk of dementia. Early symptoms may include reduced interest in being sociable, decreased enthusiasm, decline in ability to pay attention, sadness , fearfulness, anxiety and changes in coordination. Frontotemporal dementia refers to a group of disorders caused by progressive nerve cell loss in the brain’s frontal lobes. Lead to loss of function in specific brain regions- shown in the picture. 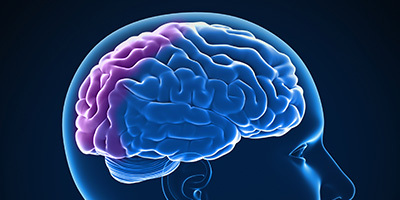 Progressive brain disorder caused by a single defective gene on chromosome 4. This defect is ‘dominant’ meaning anyone inheriting this from a parent is certain to eventually develop the disease. The defect gene codes for a protein called Huntington. This defective protein leads to brain changes that cause abnormal movements (uncontrolled movement of arms, legs, face and upper body), a reduction in thinking and reasoning skills, irritability, depression and other major mood changes. A unique disease or possibly a variant form of Alzheimer’s disease. The affect region of the brain (shown in the image) shows amyloid plaques and neurofibrillary tangles, similar to changes that occur in Alzheimer’s disease. One difference is that Alzheimer’s disease occurs in people age 65 and older, whereas the PSA commonly occurs between ages 50 and 65. Symptoms include damage to an area of the brain that is responsible for processing visual information developing difficulties with reading a line of text, judging distances. Others include difficulty performing calculations and spelling and anxiety. This disease begins in a region that plays a key role in movement. As it spreads it begins to affect mental functions, including memory ability to pay attention and making sound judgements. It is formed by abnormal deposits of Alphasynuclein protein. 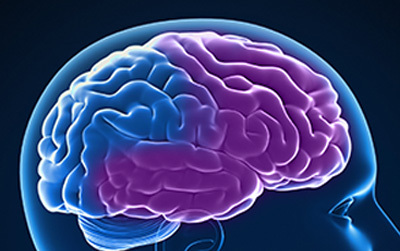 Hallmark brain changes are linked to Alzheimer’s disease. Symptoms include changes in memory; trouble interpreting visual information ; muffled speech; visual hallucinations and depression. Caused by conditions that block or reduce blood flow to the brain and eventually killing the cells as they they prevent transport of vital oxygen and nutrients to the brain. The brain has one of the body’s richest networks of blood so is therefore left vulnerable. Thinking problems occurs resulting confusion suddenly following strokes that block major brain blood cells. may cause memory loss in the long term. A chronic memory disorder caused by severe deficiency of vitamin B-1. Another common cause is misuse of alcohol. Low vitamin B means that there is no support for brain cells to produce enough energy from sugar and function properly. The syndrome is also associated with AIDS, chronic infection, poor nutrition and certain other conditions. It causes issues with learning new information and memory and patient will not be able to recall information.